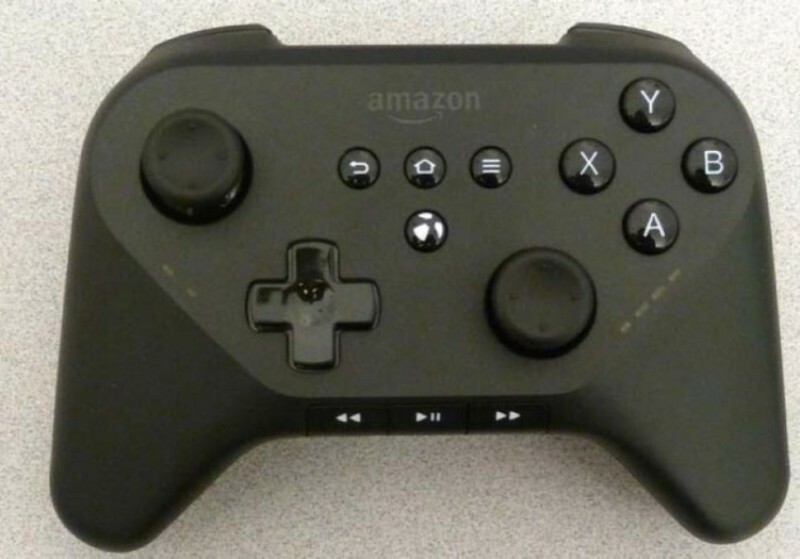 Leaked images of what appears to be an Amazon game controller hit the web a day ahead of the weekend. The photos come courtesy of Dave Zatz and are said to be from Brazil’s equivalent of the FCC so they’re probably legit. The bulky looking controller features a pretty typical layout up front: four action buttons on the right labeled A/B/X/Y, two offset analog sticks, a directional pad and four buttons in the center. Along the bottom edge of the controller are media control buttons and up top are the usual bumper / triggers. It also looks like there are some LED indicators on the face of the gamepad – six to be exact. The controller is powered by two AA batteries tucked away in a battery compartment on the rear. The buttons in the center of the controller are Android buttons. That likely means the console will be powered by Android. But what exactly will the controller be used for? There are a couple of possibilities here. First, Amazon may market the controller for use with its Amazon GameCircle service for the Kindle Fire. It’s plausible but not nearly as attractive as say, a dedicated Android gaming console. Or maybe, given the media keys and all, Amazon is planning for its upcoming set-top box to double as a gaming machine. The latter seems to make the most sense but we will have to wait and see what comes of it.